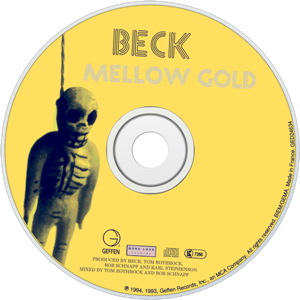 "Analog Odyssey" is the official name of the Mellow Gold bonus noise which is tacked on to the end after "Blackhole." As far as I know, there are not any CDs that list this title, nor include it as a separate track. However, it is listed under this name and for sale by itself on iTunes. In googling the phrase "analog odyssey," it seems to be the name of a synthesizer or a synthesizer effect or something like that. Perhaps that's what Beck used to create this? Whatever, it's just some electronic whines and noises.